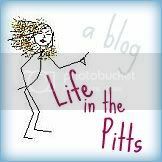 Life in the Pitts: Jamaican Giveaway!! Lucky! Have fun and enjoy your trip! Your blog is so fun to read - I love it. I think we are about the same age and I find myself thinking the same way as you do A LOT! Have a fun cruise! You are so lucky! I want to go on a cruise! Have a ton of fun! A cruise- how fun! Don't gain tons of weight- on second thought- yes, gain lots and lots of weight! You can lose it all later! Hope you had fun! Really excited for you. I live in Canada and had never been outside of Canada untill I went back packing around Asia so I know your excitement. I wish you wonderful weather. Have fun!!! Ooohh -a cruise! How exciting! You'll love it down there, it's so nice and warm, and if you decide to have a drink before noon, no one really cares! :o) I'm excited about your trip AND your giveaway. Have an awesome time! Have a great time in another world! It really is that different. enjoy! Sounds like so much fun...I am so jealous!! :) Hope you have a great time! ooh cruises are so fun! Hope you're having a great time! hope you dont hit an iceburg! I have never been on a cruise but I would love to! Hope you're having loads of fun! I hope your having fun! HAVE I EVER TOLD YOU IF I COULD ONLY PICK ONE PLACE IN THE ENTIRE WORLD TO VISIT, IT WOULD BE JAMAICA?!??!!? well there, i said it. I want to go there SO BAD it hurts!!!!!! you are one lucky girl! Ok as your Canadian Neighbor I really want to encourage you to visit. Especially BC. it's the best! I just found your blog by way of House of Hepworths. Hope you have a great trip! Sounds like fun!!! My all time favorite place I've visited is Jamaica! I hope you like it as much as I did! Please include me in your giveaway! !